Tyron Woodley returns to the ring as the co-main event of UFC 214 on July 29, 2017 in Anaheim, California to defend his current welterweight champion title against Demian Maia. Woodly will enter the ring in his third defense of his Welterweight title at the Honda Center in California. Woodley is partnered with Sporturf™ for the promotion of our newest product Combat Turf™. Our turf provides high quality, high performance with a quick install and no mess solution for owners and athletes alike. 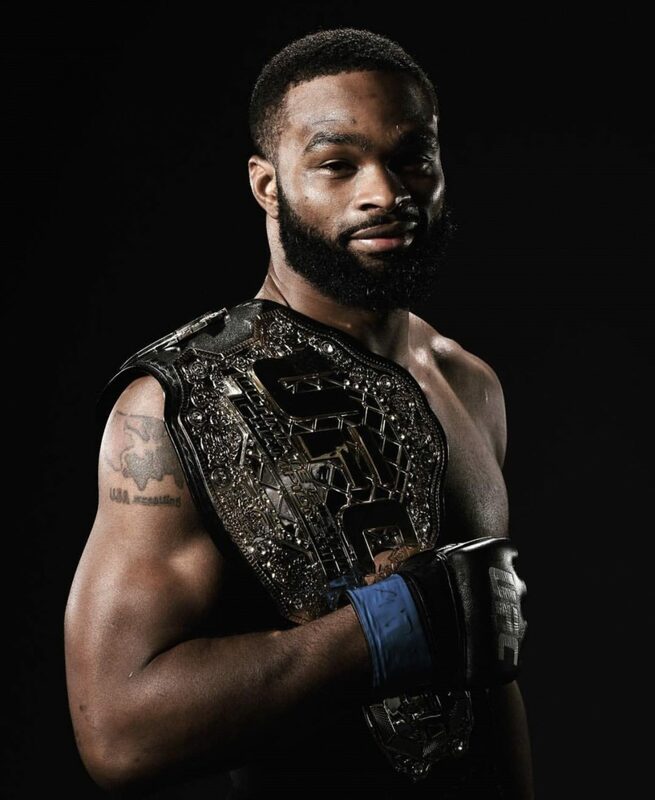 Train like the champion, The “Chosen One” Tyron Woodley with Combat Turf™.